Penguins, boulders, penguins, steampunk and penguins. Have you ever dreamed of going to a place like Victorian England with penguins? Well, haven’t we all?! Oamaru provides with its grand 19th century buildings, steampunk installations, and New Zealand’s largest blue penguin colony. Sure, the city itself is a great destination for backpacking, but the surrounding Waitaki Distict holds many more awesome features. Unusual limestone features and fossilised marine creatures are scattered throughout the Waitaki Valley, which follows the scenic braided Waitaki River. Travel the North Coastal Otago area, extending just 40 minutes south of Oamaru, and you’ll come across seal colonies, penguins and the natural phenomenon that is the Moeraki Boulders. 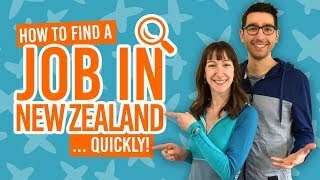 Whether you’re looking for a work destination on your working holiday, looking for things to do on the Alps 2 Ocean cycle trail that ends in Oamaru, or just need a new awesome place to travel to, take a look at our guide below that we made just for you! 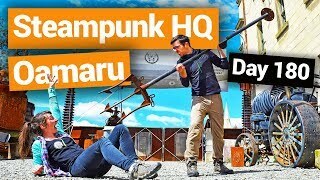 things you can’t miss in Oamaru and Waitaki! Step back in time to… Victorian England? Watch the little blue penguin colony waddle across the shore on an evening. See if you can spot penguins and sea lions from the Bushy Beach Track. Make the most of winter by skiing/snowboarding in Ohau or Awakino. Wander through New Zealand’s highest vineyards and, of course, drink wine. See a world forgotten in the many fossils of the Waitaki Valley. Watch the seals at Katiki Point and Shag Point. Find out more in 5 Oamaru Must-Dos. You will find no other city like Oamaru in New Zealand – it is full of limestone Victorian architecture! Not only that, but the city looks like it from the fantasy genre of steampunk. For those of you not familiar with steampunk, it is a sci-fi/fantasy genre taking inspiration from steam-powered technology. It is often set in a futuristic version of 19th century England, hence why the grand buildings preserved from this era makes Oamaru the perfect setting for celebrating this genre. Just a short walk from Oamaru’s main street, the Victorian Precinct holds 40+ shops. It’s not a bad place to have a browse, a coffee/beer, learn to ride a penny-farthing (Victorian bicycle), and get a sepia photo taken in a Victorian costume. On the edge of the precinct is Steampunk HQ easily spotted by the steam train outside. Inside, the museum is packed with weird and wonderful exhibitions. Even the children’s playground on the harbour is steampunk inspired! If you’re lucky, you might see the locals wandering around in their aviator helmets and brass goggles. For all you history and architecture buffs, don’t miss the North Otago Museum to learn about Oamaru’s heritage. It is also in a building worthy of a photograph, as well as other impressive buildings, such as the Presbyterian Church of Aotearoa New Zealand, St Luke’s Church, St Patrick’s Basilica, the Farrester Gallery, the Court House and more! Quick tip: the best way to get an overall view of the town and it’s buildings is from Tamar Street’s lookout. 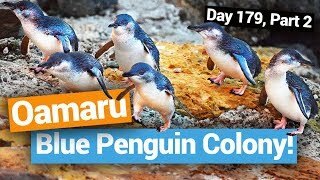 Within walking distance from the town is a colony of the world’s smallest penguins, the little blue penguins. The Blue Penguin Colony allows you to take a tour of nesting burrows in the daytime and watch penguins return to shore from a hard day’s fishing in the evening. The latter is certainly a must-see to watch the colony waddle across the shore from a grandstand. If you are visiting in the summer, make sure you book in advance! A 5-minute drive from the the Blue Penguin Colony is Bushy Beach on the far side of Cape Wanbrow. Here, you can watch the world’s rarest penguin species, the yellow-eyed penguins. The most likely time to see the penguins on the beach is 4-6pm. Otherwise, the 10-20 minute Bushy Beach Track is a great viewing point of the scenic beach, which may even have sea lions and elephant seals in plain sight too! For more places to see little blue penguins, check out 8 Best Places to See Penguins in New Zealand. 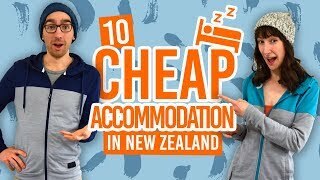 Staying in Oamaru a while? 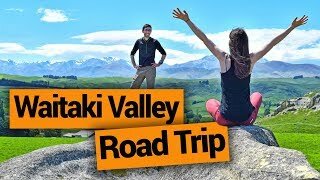 Don’t miss the Waitaki Valley! With high altitude vineyards, ski fields and fascinating rock formations, the Waitaki Valley is a great place for work and play if you are on a working holiday. At the top of the valley are the ski fields of Ohau and Awakino. With Ohau, you have a spectacular view of the Lake Ohau to go with your day of skiing or riding. Learners to intermediates can take advantage of the wide runs serviced by a chairlift, while thrill seekers can search for epic powder by hiking from the top of the lift. Awakino is the affordable club field serviced with rope tows. There is plenty of runs to enjoy by beginners and intermediates, while the advanced can really make the most of the terrain with a hike to uncrowded black runs. Moving further down the valley near the towns of Omarama and Kurow, you’ll find vineyards – great news for those seeking viticulture work in super scenic locations! Wine lovers can enjoy a sip of fine Kiwi wine, while on some of New Zealand’s highest vineyards and wineries. Another way to relax after hiking, road-tripping or working is by soaking in the Omarama Hot Tubs. 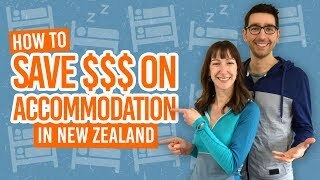 This is more of a luxury option as far as hot water experiences go in New Zealand, but you might think it’s worth it when surrounded by stunning tussock lands and lake. You can even view the awesome Southern Hemisphere stars if you book a hot water stewing after dark. Bizarre limestone formations and fossils form the highlights of the Waitaki Valley scenery. Many of which make up the Vanished World Trail, a self-guided 80km trail taking you to 19 sights in North Otago. The heart of the trail can be found in Duntroon at the Vanished World Centre. The small entrance fee allows you to find out about the fossils seen on the trail, as well as displaying fossilised whales and dolphins. Around the Duntroon site, you can find fossilised whale bones, Maori rock art, “Elephant Rocks” and rocks that rattle. To find out more about these fascinating rock formations and where to find them, take a look at our article 7 Bizarre Rock Formations in the Waitaki Valley. This walk rewards with great views of the Waitaki Valley and Mt Dommet. In Kurow, head to the end of Grey Street where you will see the sign. Be aware that the track is closed during the lambing season. Look into a flooded canyon near Lake Aviemore! The 2km walk leads to a picnic area and fishing spot. To get there, turn off State Highway 83 at Aviemore Dam onto Te Akatarawa Road. There are two options to take to explore the Lake Benmore Peninsula: the Peninsula Circuit and the Islands Lookout return walk. Both walks take you through exotic pine forest with great views over Lake Benmore and even over to Mt Cook on a clear day. The walk can be accessed from Otematata via the road end above Benmore Dam. Walk through the stunning vineyards of Oamarama and up Ladybird Hill for excellent views. The vineyard also offers salmon fishing and a winery. It would be a crime to visit Oamaru and not take a trip down Coastal North Otago to see more wonderful wildlife and natural wonders, especially as there is only a 40 minute drive on State Highway 1 between Oamaru and Palmerston. If you have done any image search of New Zealand before your travels, you’ll no doubt have seen the Moeraki Boulders. They are perhaps the most famous boulders in New Zealand, situated on Koekohe Beach just south of Hampden. If anything, they provide a wicked photo opportunity. The boulders are well sign-posted from State Highway 1 to a car park within short walking distance from the boulders. To make the most of your visit, take the Moeraki Millennium Track (3 hours return) from Moeraki Point to the southern end of Koekohe Beach. While in the Moeraki Village, try some delicious seafood fresh from the fishing boats! If the penguins of Oamaru were not enough, take a detour to Katiki Point and Shag Point for your wildlife fix. Seal colonies lounge on the rocks all year round, while yellow-eyed penguins make an appearance late every afternoon between October and February. Finally, you will hit civilisation again in Palmerston, where you can pick up supplies and maybe some bargains in the op shops. Try some award-winning cheeses at Whitestone Cheese. Stroll through the pretty Oamaru’s Public Gardens. Go to a classic Kiwi market at the Oamaru Farmers Market at Tyne Street Harbour on Sunday mornings. Watch live sheep shearing (yes, that’s a thing!) at Wrinkly Rams, Omarama. See a former gun emplacement at Cape Wanbrow. Find more stuff to do in 7 Bizarre Sights in the Waitaki Valley. Where to stay in Oamaru & The Waitaki Valley?